VA Puget Sound Health Care System seeks to promote the health, welfare, and dignity of LGBT Veterans and their families. We are committed to making sensitive and high quality health care accessible. 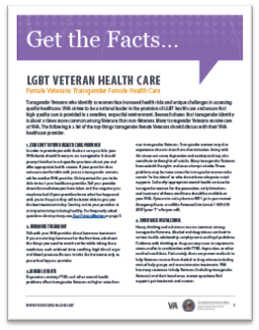 Our policies and practices focus on ensuring a safe, welcoming, and affirmative environment of care for LGBT Veterans. Our employees receive training in clinically competent care that is responsive to the unique needs of LGBT Veterans. 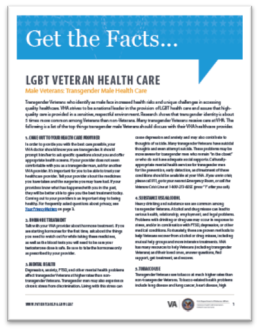 Veterans with LGBT and related identities face increased health risks and unique challenges in accessing quality healthcare. 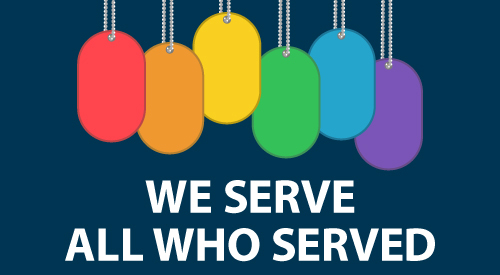 The VA strives to be a national leader in the provision of health care to Veterans with LGBT and related identities and assure that care is provided in a sensitive, safe environment at VA health facilities nationwide. - Promoting a welcoming health and work environment that is inclusive of Veterans and employees with LGBT and related identities. 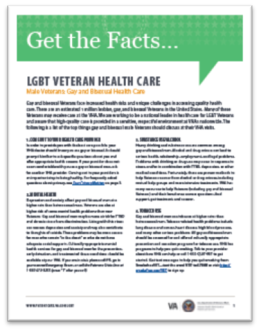 - Providing information, guidance and education to VHA providers about LGBT health issues. 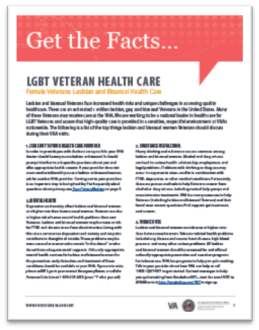 In 2012, the Office of Patient Care Services created the LGBT Health Program (10P4Y), which provides policy recommendations, provider-education programs, and clinical services to support personalized, pro-active, patient-driven healthcare for Veterans with LGBT and related identities. For more information about the LGBT Health Program, email at VALGBTProgram@va.gov. Get the latest news on LGBT-focused programs, health studies, policies & research in your inbox.